Drinks International can exclusively reveal Chetiyawardana will move Super Lyan in Hoxton to a new site in Amsterdam and open another new brand and concept - Silver Lyan - in Washington DC, US. Lyaness, which will occupy the Dandelyan site at Sea Containers London and will be operated by the hotel bar’s existing team, will open at the end of March under a new concept with new décor. In a shock move in October, Chetiyawardana announced Dandelyan would close, two days before The World’s 50 Best Bars named it the world’s best bar. Dandelyan, which launched in 2015, sold around 1,000 high-concept cocktails in an average night – a feat rarely seen among elite bars. 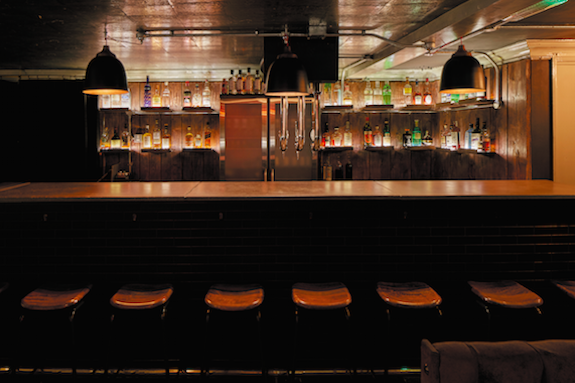 Meanwhile, Super Lyan – Chetiyawardana ’s Hoxton venue in the basement of CUB - will be repurposed as an fermentation lab and office space, while the bar brand will be moved to a larger site in Amsterdam in April, just a few weeks after Lyaness opens its doors. “We want it to complement the landscape – there are some great things going on in Amsterdam," Chetiyawardana told DI. "I’ve fallen in love with the city; it reminds me of Edinburgh. Iain [Griffiths] and I saw the site - just off the canal district – and immediately said: ‘this site is Super Lyan’. It sits so neatly with the brand. But we’re not just transporting the brand and dumping it in Amsterdam. It’s in an old, wonderfully wonky building. It’ll take Super Lyan’s playful optimism. We’ve nodded to the alter ego, super hero thing but it won’t look like Super Lyan in its current guise. It won't look like any other bar." The new Super Lyan will build a staff from mostly local bartenders and will embrace local ingredients. “They’re very progressive with agriculture – we’ll be honing in on the most delicious, sustainable ingredients,” said Chetiyawardana. More details on Lyaness will follow on Drinksint.com and in sister title Class magazine.